Unknown to many, there is a beautiful small island that lies at the southernmost tip of Davao del Sur, southwest of Sarangani Island in Mindanao, Philippines called the Balut Island, also known as Balut Volcano, or Sanguil which is starting to become a tourist attraction because of the many spectacular features the island offers such as sandy white beaches, a hot spring, a volcano, historical landmarks, lush vegetation, and a whole lot more. Beach volleyball, kayaking, skim boarding, an 11-kilometer swim across the bay, and other bay sports are only just a few fun activities in the island. The word Balut is a Maguindanaon term which means "an island". 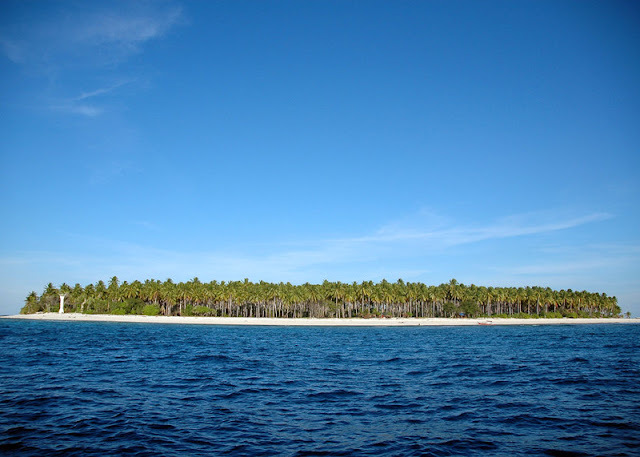 Balut Island is volcanic island situated 5°24'N 125°23'E and 5°24'N 125°23'E, about 3 kilometers east of Sarangani Island, and is only an hour away from the nearest Indonesian Island. It has a total land area of approximately 80 square kilometers, and about 862 meters above sea level. In the center of the island is Balut Volcano which has an elevation of 2,828 feet (862 meters). Balut is part of the Central Mindanao Arc, an area of frequent earthquakes and volcanic activity. All volcanoes in the Philippines are part of the Pacific Ring of Fire. While the island is volcanic (Stratovolcano), there are no reported eruptions in historical times. 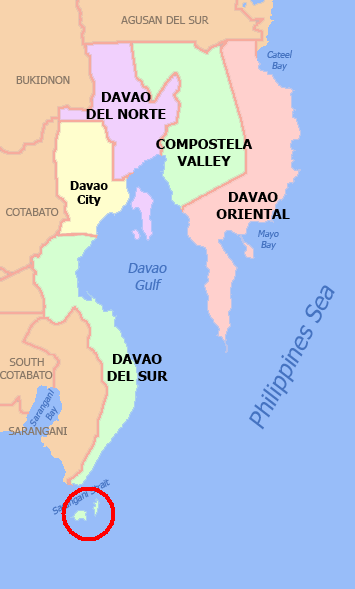 The island is about 170 km southwest of Davao City, and 70 km southeast of General Santos City. It is composed of 12 barangays (11 of these are coastal barangays) mostly populated by Bilaan, Muslims, and the Sangils who landed in the island in the mid 14th century from Sangir Island, North of Indonesia, when the Dutch took dominion over the island. The Sangils are natives of Indonesia. 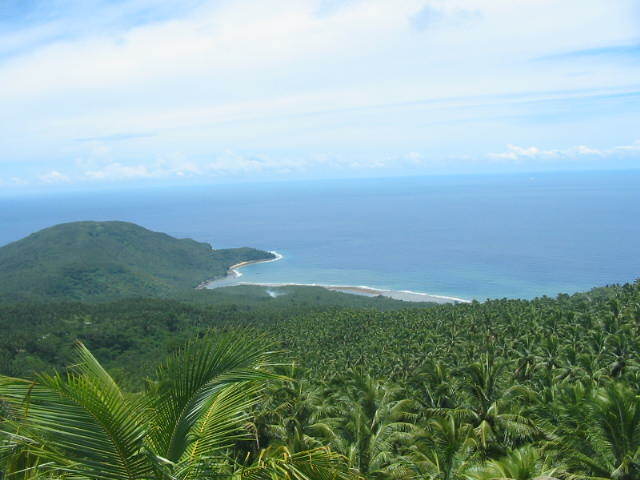 Farming is the island's major economic activity, with coconut as the major crop. An estimated 64.44% of the total land area is planted with coconuts (6,085 hectares of the total land area of 9,443 hectares). 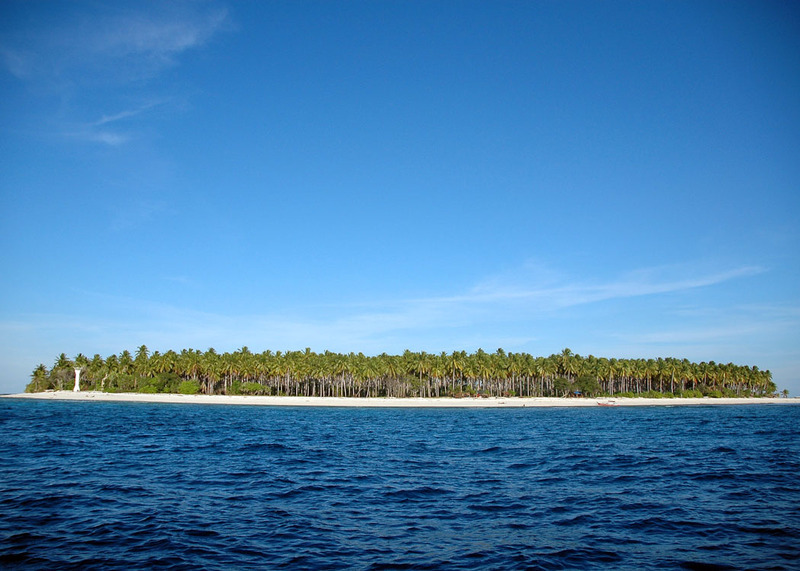 Balut Island is endowed with rich marine and coastal resources, and fishing is a major source of livelihood. While there are only a few full-time fishers on the island, almost everyone is at least partly engaged in fishing activities and shares in the abundant marine life. 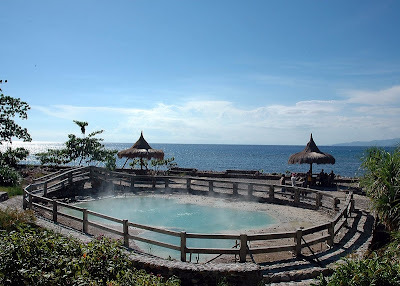 The hot spring is located in Barangay Lipol, and is a popular destination for tourists. It is about 16 meters wide with temperature reaching 80° Celsius. Its source flows from Bad-lii in the mountains of Kalisusu and Kagongkong, about a 2-hour trek from the hot spring. This old light house was erected by the Americans during the American regime which fronts the bay of Ulaniban, a three-kilometer of white sand encircling the 16-hectare island belonging to barangay Patuco. It was used by the Americans to guide their warships en route to Australia. 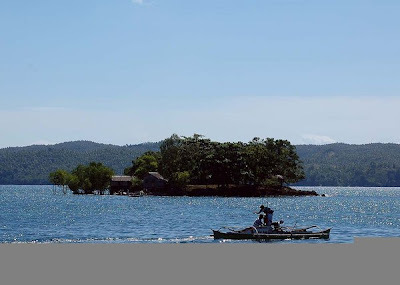 Marorong Islet, also called Balistic Island because of its bullet-like shape, is about 70 meters across Balut Island where the ruins of the once mighty fortress built by Spanish navigator, Ruy Lopez de Villalobos can be found. 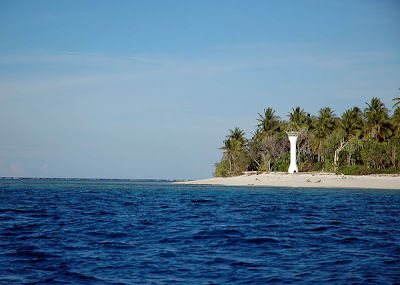 Villalobos and his army landed in the islet on his way to Moluccas Island in 1543. However, settlement and colonization was never attempted. The area was considered part of the realm of the Sultan of Maguindanao and is now changeably called the islet "Fort Villalobos". 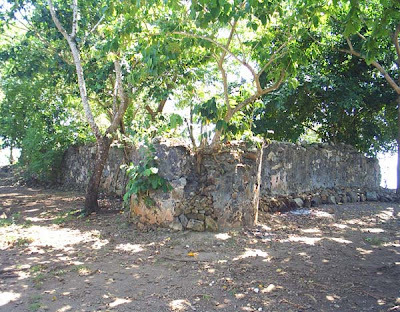 Once the mighty fortress built by Spanish navigator Ruy Lopez de Villalobos, this historical ruins is one of the many landmarks of the municipality that can be found at Marorong Islet. It has a proximity of about 130 meters away from Mabila port. 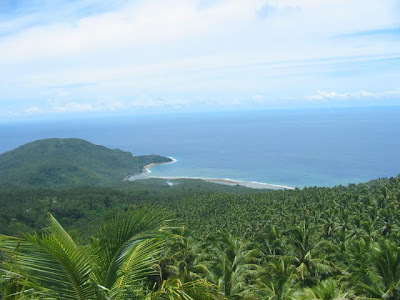 Atop Gomtago mountain down to the valley commands a magnificent view of the whole island, the open sea, and part of the mainland that connects Sarangani province, and the even the nearest islands of Indonesia on a fair weather. Pgymy Sperm Whale is a usual sight in the Celebes Sea. 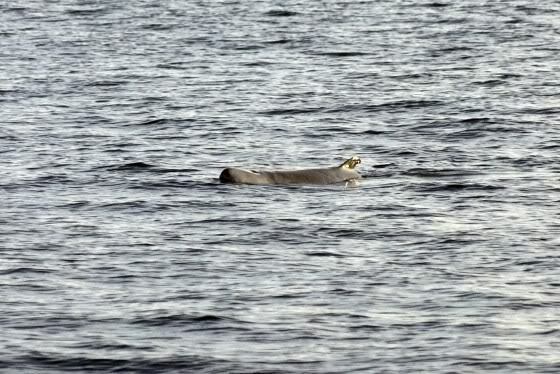 Orcas or Killer Whales are also often spotted in the Sarangani sea. There are buses from Davao City that go to General Santos City in South Cotabato where one can board a motororized boat called M/V Song of Dolly 3 which is usually docked at the Lions Beach, or via M/V Nieky 2 and M/V Sabhangat at the wharf of Puting Bato. The boat ride, which may not be as convenient as the big waves and strong surf are perilous except in the months of March to May, usually takes 5 hours. Oh, by the way, HAPPY VALENTINE'S to ALL!!! As a Dabaweno, how come I never heard any of these places from my relatives before?!?!?!? 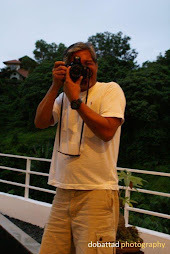 Perhaps, Earl, it is about time that you should visit Davao City and explore the many changes since you were gone. From where part of Davao? Its so nice and the sand is so fine. Balut Island lies at the southernmost tip of Davao del Sur, southwest of Sarangani Island (see map above), about 170 kms southwest of Davao City, and 70 kms southeast of General Santos City. Bookmarking this for my upcoming Davao trip this June. Thanks for sharing! Hi joan | the backpack chronicles! Thank you for finding this blog worthy of bookmarking it particularly from a fellow blogger like you. I hope you will find Davao City also worthy of succeeding visits in the future. Thanks for featuring BALUT ISLAND... This EXPOSURE will be of GREAT IMPORTANCE in the DEVELOPMENT of the "RAW BUT SCENIC" places of the ISLAND.... 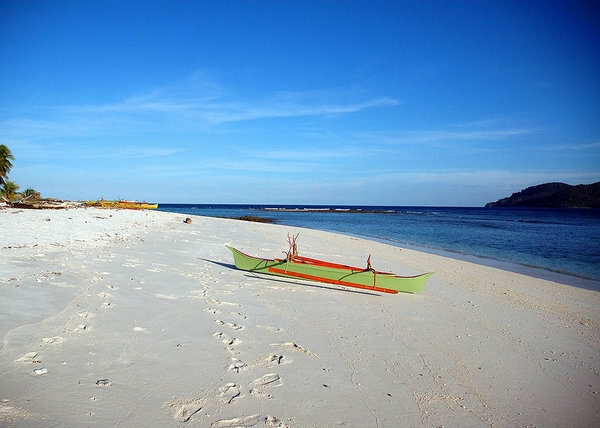 In your NEXT VISIT, Please feature SARANGANI ISLAND as well.. It has been close to a decade since I last set foot in Sarangani Island during a claim assignment thereat. In fact, Sarangani became my jump-off to Balut Island. These two islands, in deed, need much exposure as these offer a tremendous potential for tourism: very scenic, historical, and untouched by commercialism. There are still much to be explored in the area which I have not had the occasion as of yet to feature in this blog, and it is my firm hope that the DOT will take a closer look on these beautiful islands of Balut and Sarangani and include them in the Philippine tourism map for the world to see. Thank you for your comments. Hi, Jo. Thank you for visiting my site. There is a white sand beach resort in Balut Island called Tuke Maklang Beach Resort, however, I do not have their contact number nor the boat rental thereat. The resort has open cottages and two rooms, each good for two persons. Pitching of tent at the beach is allowed and is free of charge. There is a minimal entrance fee of P10. 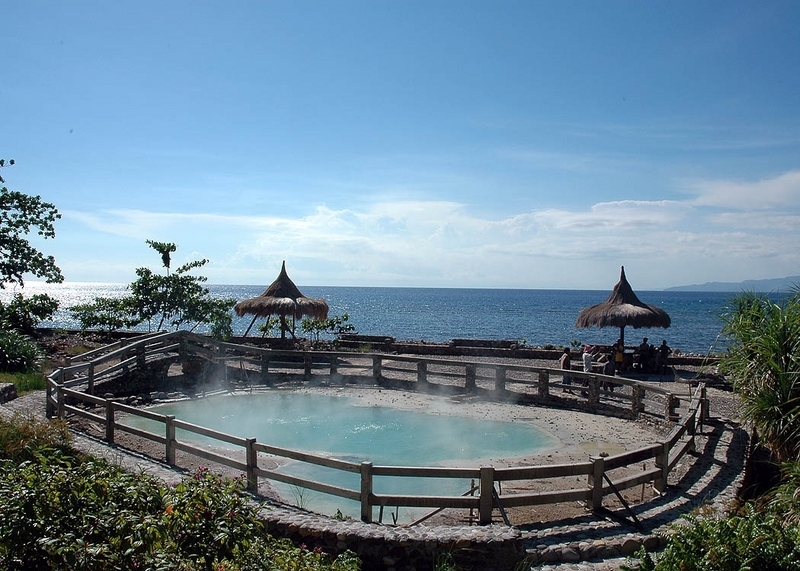 The resort is owned by Saranggani Mayor Jerry Cawa, and is located at Sitio Maluco,Barangay Laker. Another option for overnight stay nearby is the JVL Inn in Barangay Mabila, also owned by Mayor Cawa. It is located near the port. Good luck to your trip! Lovely to be here in your site. 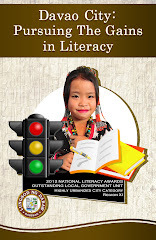 As a native in Balut Island, I am honored for this post and the brilliant photos. Good job! If you don't mind, can I copy the Balut Island photos? I wanted to put it up on my personal blog (http://domesstique.blogspot.com/) and I am more than happy to link you/your site as the owner of the photos. Thanks. Hi Scudds Harrison, this blog is for everybody. I would appreciate any help to promote the Island. Thanks. God its so nice place! Great blog! I was born in Davao and lived in GenSan for 17yrs before deciding to settle down in Manila. I remembered when I was about 7 or 8 yrs old my family went to a place called Balut Island. As a child it was just a plain island with waters surrounding the place. I never knew I set foot on a very remarkable and fantastic island like this! Will definitely go back! Would you mind sharing me the direction on how to go here? I'm going to Davao for vacation this September.